Life events can be extremely inspiring for writers. 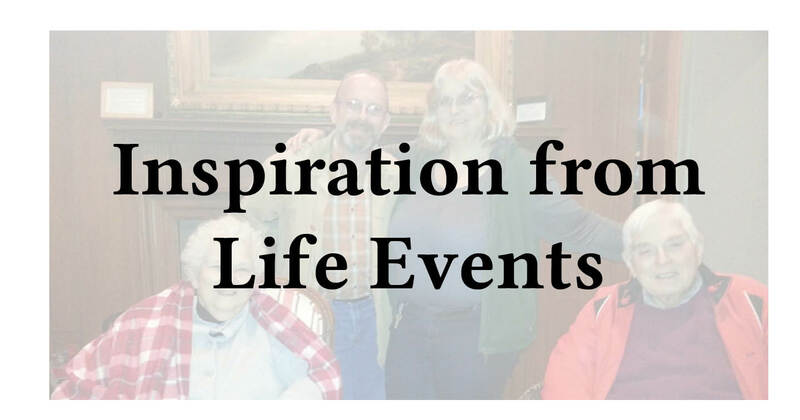 Can your life events provide any inspiration? They can range from baby showers to quinceañeras. Or they might be religious commitment ceremonies like confirmations. I’ll cover weddings and marriages at a later date. They generally entail much greater pageantry. First off, you should notice how big the event is. Is it a small one-year-old’s birthday party for just the immediate family? Or is it a Bat Mitzvah for a few hundred guests, where the parents satisfy several social obligations at once? Because a very large event can be overwhelming, try to concentrate on smaller conversations. Check out the little moments. What happens when the cake is cut, or the music starts? Of course you don’t ignore a crying baby. And you don’t interrupt important family moments. But we all know that there can be delays and quiet times during these sorts of events. There is usually an organization behind very large events. Sometimes a professional handles everything. Or instead there might be a sequence of operations. The family is introduced first. Or first the hosts mingle with the guests. Maybe a song or a dance is next. The hosts might serve food. The food might be required or expected. We often expect to eat turkey during Thanksgiving in America. But not always. Some families serve ham or lasagna. Plus what’s unique about the occasion? Is it the favors? Or the music? Maybe it’s the decoration. Or the venue. And the guest list could be unique. Since families change, it could be the last time some people are together. Because we all age, the family won’t look the same ever again. Finally, what did you see and hear? These events can be a window into human interactions. In addition, you can overhear great dialogue. Finally, don’t take notes at funerals.